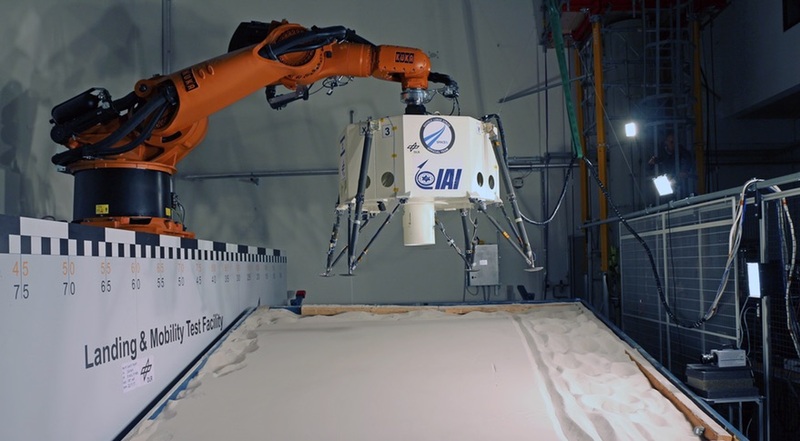 WASHINGTON — SpaceIL, the Israeli team in the Google Lunar X Prize competition, says it needs to raise $7.5 million in less than a week in order to complete its lander and retain its launch contract. The nonprofit organization says it has identified $22.5 million of the $30 million of total funding it needs to raise to complete and launch its lunar lander in the form of matching funds, but those funds are contingent on raising $7.5 million by Dec. 20, the end of the Hanukkah holiday. Privman said SpaceIL is working on lining up a small number of large donors to raise that $7.5 million, versus crowdfunding many smaller donations. “We’ve done crowd fundraising in the past, and you can get a hundred thousand dollars to maybe half a million dollars, but no more, and we need much higher amounts,” he said. SpaceIL is looking to find “major donors” as well as support from the Israeli government. The rules of the competition allow government funding of up to 10 percent of the overall cost of the mission. SpaceIL estimates its mission will cost $85 million, and this fundraising effort will be the last required. Work on the spacecraft is at a “very advanced stage,” he said. The remaining components of the spacecraft will be assembled by January, to be followed by testing. SpaceIL has a contract with Spaceflight Industries to launch the lander as a secondary payload on a SpaceX Falcon 9 mission whose primary payload is a commercial communications satellite. That satellite, which he declined to identify, will be deployed in a supersynchronous transfer orbit, whose apogee is above the altitude of geostationary orbit. The lander will then use its propulsion system to fly to the moon and land there. With spacecraft testing currently planned to take “some months,” Privman acknowledged that it will be difficult to meet the Google Lunar X Prize deadline of completing its mission — which involves not just landing on the moon but also traveling at least 500 meters across its surface and returning video and other data — by the end of March 2018. “It is extremely challenging to make the end of March,” he said. “We could take the spacecraft we just finished assembling, put it on the launcher, and launch by the end of March, but it wouldn’t be professional.” He said a better launch date, allowing time for spacecraft testing, would be the middle of 2018. Given that none of the other teams that are finalists in the competition appear likely to be ready by the current deadline, Privman said he hoped the X Prize Foundation and the prize sponsor, Google, will agree to a short-term extension. If the deadline is not extended, Privman said SpaceIL will probably continue the mission at its own pace rather than try to rush its development. SpaceIL is seeking to create an “Apollo effect” for science and technology education in Israel through the inspirational value of being just the fourth country to land a spacecraft on the moon. That makes winning the $20 million grand prize somewhat secondary to successfully completing the mission.